There are many obstacles to children getting a good education in San Pedro. There are few preschools, so children begin primary school without adequate preparation, and many have to repeat early grades. Each year, 5% of children drop out of school, and sadly they are mostly girls. The older a child is, the more likely he or she will abandon school or take long absences to work, especially during the coffee harvest. An estimated 30% of children work from ages as young as eight, harvesting, weeding, and cutting logs, or polishing shoes and collecting recycled materials in town. Schools in the community lack sufficient infrastructure. Many have one-room buildings that need repairs and equipment. Classrooms are overcrowded and there aren't enough teachers. Teaching materials and educator training are scarce. At home, many parents, especially mothers, have little or no education, which makes it difficult for them to support their children. Additionally, chronic malnutrition means children often come to school on an empty stomach, leaving them unable to focus on their studies. For older children, there aren't enough high school spaces, and parents cannot afford to send children to school outside of the community. 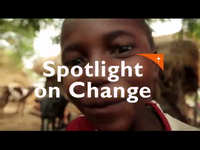 In this community, one in three children are moderately stunted, while another 10% are severely stunted. Children are also chronically malnourished. Poor sanitation and hygiene, a lack of clean water, and damp houses with mud floors leave them suffering from recurring respiratory illnesses and bouts of diarrhea. Many are born underweight because expectant mothers do not get proper care, or enough food during pregnancy. As more teens become pregnant, they are even less prepared to carry and give birth to healthy babies. Traditional subsistence crops of corn and beans mean that children receive a high-carbohydrate diet, lacking in nutrients from fruit, vegetables, and protein. 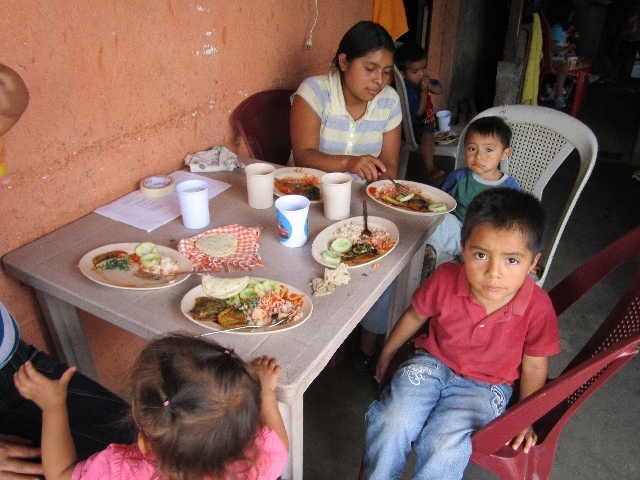 Families often have little means to buy other food. Parents need education in the steps they can take to help protect their children's health, like good hygiene, safe water, safe food handling, and age-appropriate feeding, in addition to what constitutes a healthy meal. Many mothers have little to no education, so they rely on traditional methods, and are reluctant to seek medical treatments, have their children vaccinated, or even give them oral rehydration solutions to treat diarrhea. In this poor farming community, farmers face many obstacles. These include small farming plots, a reliance on traditional crops and methods, a lack of knowledge about new methods, and environmental issues like landslides and erosion. In addition, small coffee producers are trapped by the monopoly in marketing, so they continue to earn little. Those who work as unskilled labor on the large coffee plantation also make very little money, and there are few alternative ways to earn an income. Farming families earn little in general, but they earn nothing during the growing season. Seasonal migration in search of work breaks up families, and disrupts children's education. It also introduces families to urban gangs and drugs, which many unfortunately bring back to their communities when they return. Low income leads many families to introduce children to work at an early age so they can help the family survive. Poverty has become a vicious cycle in the community, to which children are the most vulnerable. The San Pedro Yepocapa community is located in a small municipality in the Chimaltenango region. Families live in a collection of small, rural hamlets. Located in the foothills of the mountains, the climate here is cool, wet, and tropical. Heavy rains in the winter cause flooding and landslides, and it's extremely dry and windy in the summer. Families who live here are mostly indigenous Mayan Kaqchikel, with an average of five children living in small one- or two-room houses. Houses are mostly constructed of clay or sugar cane mixed with mud, and most still have dirt floors. Poverty here runs deep, and is getting worse. 74% of families in the community currently live in poverty, and 19% live in extreme poverty. Malnutrition is chronic, and in recent years increased from 45.6% of children in 2001 to 57.3% in 2008. People here generally farm, growing corn and beans, or work manual labour jobs on large coffee plantations. Unemployment is common, and becomes even worse during the growing season, forcing many families to migrate seasonally to find work. Social issues like domestic violence and alcoholism are common. This is also a culture in which children do not have a voice. Their obedience is absolute, and discipline is often harsh. Establish community education centres where, from the time they are born to age six, children can get developmental stimulation and preschool training. Train guide mothers and equip them to run education centres. Create toy libraries and play areas to aid in the development of children's skills, especially reading comprehension and mathematical reasoning. Provide children with leadership training and mentoring. Teach parents good care practices, including early developmental stimulation, health, nutrition, and parenting with love. Train guide mothers in preventive health care, such as how to manage respiratory and diarrheal illnesses, and when to seek treatment. Provide water filters to families and train parents in how to use and maintain them. 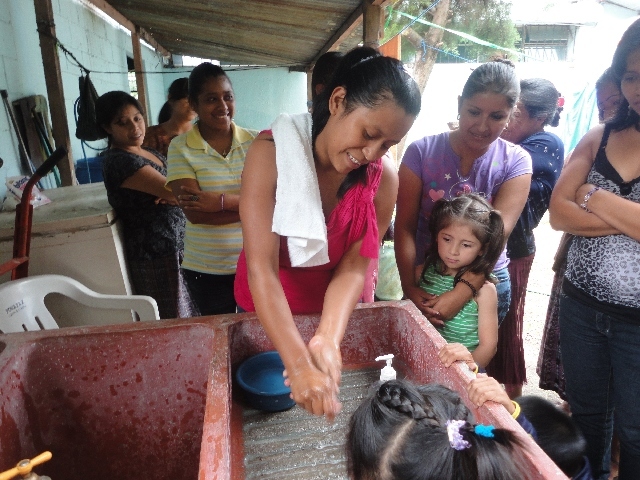 Support guide mothers to pass on their knowledge to other parents, including hand washing, water treatment, proper handling and storage of food, and confining animals to prevent contamination. Train guide mothers to promote immunization, micronutrient supplements, deworming, and disease management. Train mothers in nutrition, and help monitor malnourished children until they recover. 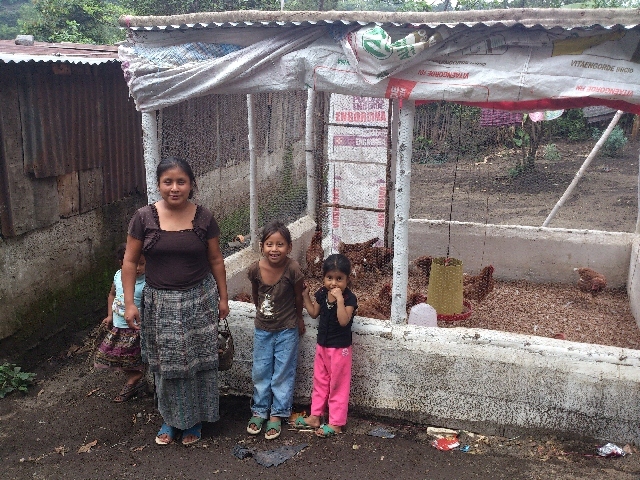 Help families start backyard gardens and raise small animals to diversify their diet and improve income. 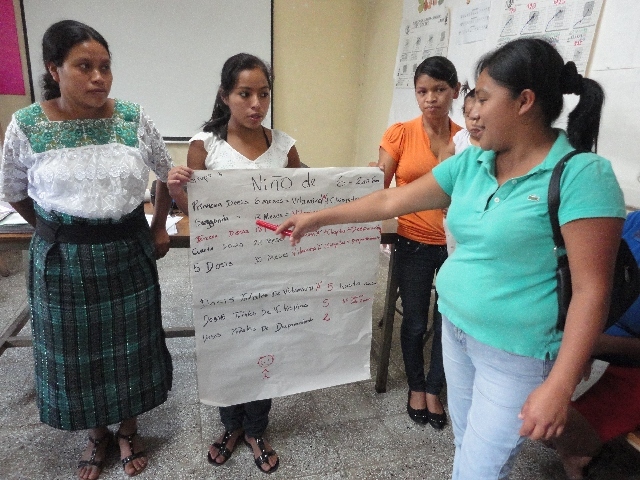 Establish and equip local boards to work to improve health, nutrition, and food security. Train and monitor pregnant women and provide supplements and food, as well as promote pre- and post-natal care through health centres to ensure babies are born with a healthy weight. Train families in production techniques, including crop diversification. Help families access micro loans. Establish demonstration plots and provide agricultural supplies, so farmers can see new methods and the benefits of change, as well as access resources with which to apply their new knowledge. Provide vocational workshops to help families develop new skills that will help them generate income. Work with families to establish new production initiatives.